The Universidad Pontificia Bolivariana (UPB) is a private university with a strong commitment to social welfare and a record of introducing innovative programs that spans its 80-year history. 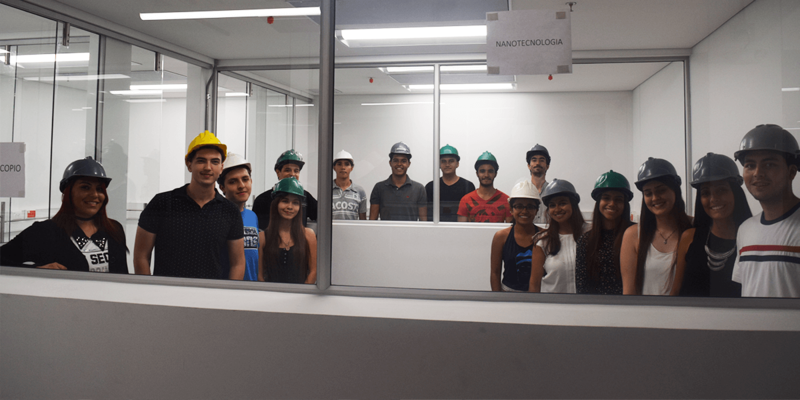 The recently-launched Department of Nanotechnology Engineering is the first program of its kind in all of South America. Ongoing faculty research in the Department of Nanotechnology Engineering includes projects focused on synthesis of nanomaterials for energy storage and textiles. In 2016, Colombia signed an historic agreement with FARC ending a conflict that has lasted for more than 50 years. In this new era of peace, the nation will finally have an opportunity to focus on improving the lives of its 49 million citizens. One such improvement critical to development will be expanding access to the electrical power grid, which is currently unavailable in about half of the country. Professor Vladimir Martínez-Tejada and Assistant Professor Esteban García-Tamayo are determined to help. Dr. Martínez-Tejada and Dr. García-Tamayo are collaborating on two innovative projects related to energy storage. The first aims to use nanofabrication techniques to create rechargeable batteries from minerals found Colombia, a goal that would add value to the Colombian mining industry while also offering a novel energy storage solution. The second is to synthesize flexible, thread-like batteries that could be incorporated directly into textiles as wearable batteries. 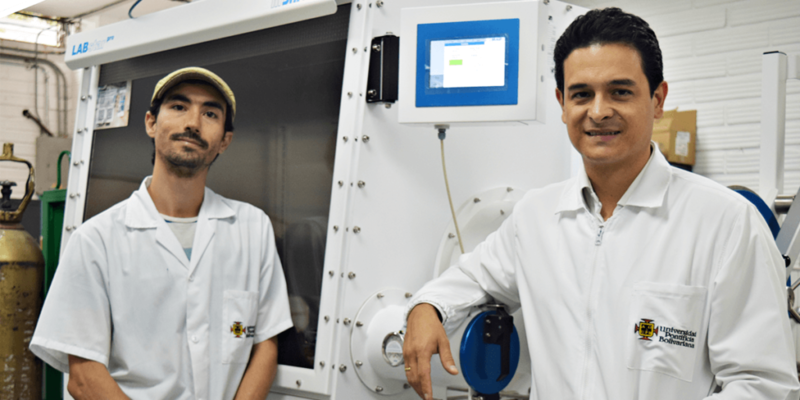 Dr. Martínez-Tejada completed his PhD in Thermal Engineering and Materials at UPB, while Dr. Garcia-Tamayo received his PhD in Chemical Engineering from the Delft University of Technology in the Netherlands. They met at a 2013 US-Colombia Workshop on Nanotechnology, where the idea for the textile project was born in conversation with collaborator Dr. Juan Hinestroza, Director of the Textile Nanotechnology Lab at Cornell University. Dr. García-Tamayo is also a Fulbright Visiting Scholar. "Our students dream of bringing energy to the moon, curing cancer, and bringing batteries to places in Colombia where there is no electricity. We are bringing these students closer to their dreams, so that they can perform experiments and discover that with science and technology, they can fulfill themselves and keep on dreaming." The Department of Nanotechnology Engineering was created to tackle issues facing Colombia like access to clean energy, safe food packaging, clean water, and sustainable mining. 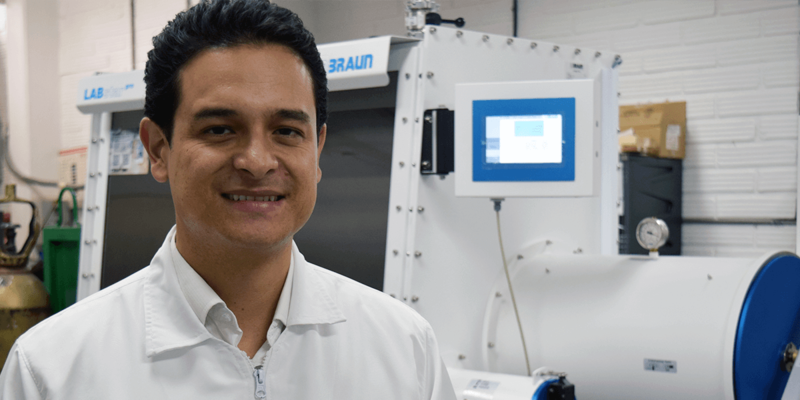 UPB needs equipment to establish a dedicated lab for energy storage research, in part to help bring power to 50% of Colombian territory currently off the nation's electrical power grid. 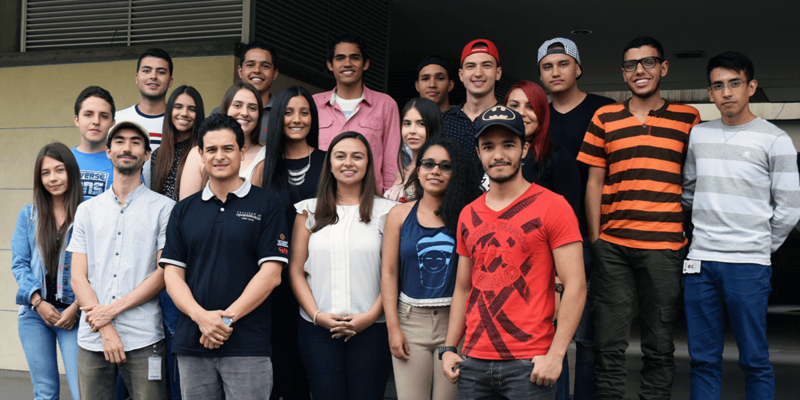 "Premio Seeding Labs 2017 para la UPB. Un mundo nano para ciencia en grande"